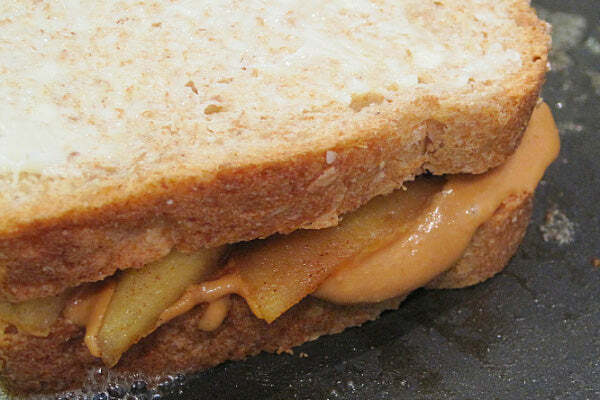 Instead of grabbing for a jar of jelly, get out some fresh fruit and whip up this sandwich for a fun dessert. Use any fruit combination you choose. 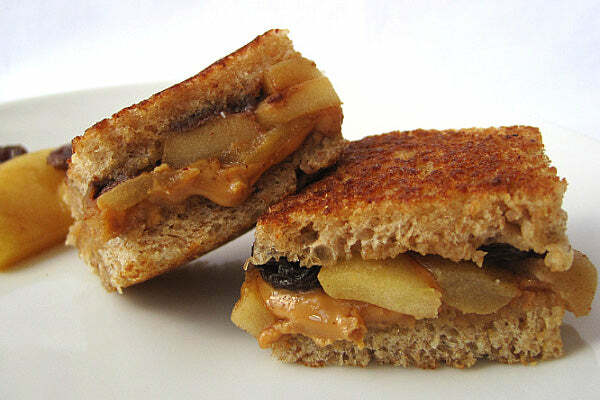 I used apples and raisins because apples are quick and simple to cook and hold their shape well. To serve, cut in half. 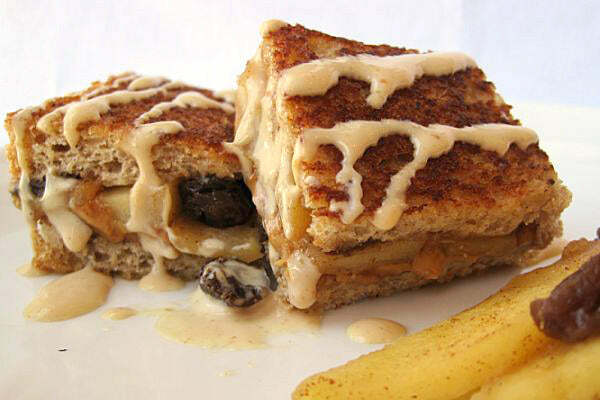 Or, make this a little fancier by slicing off the crust, cutting it into fourths, and drizzle with a little warm peanut butter sauce for the perfect two-bite dessert. 1. 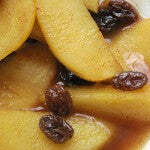 Put raisins and cider in a microwave safe bowl and heat for 30 seconds. Cover and set aside to let raisins plump. 2. 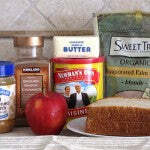 Heat 1/2 tablespoon of butter over medium heat in a non-stick skillet big enough to accommodate both sandwiches. Add apples, palm sugar, cinnamon, and salt to skillet and cook until they’re just beginning to soften. Add raisins and cider. Cook until cider has mostly evaporated and sauce has thickened. Transfer apple mixture to a bowl and melt half of remaining butter in skillet. 3. 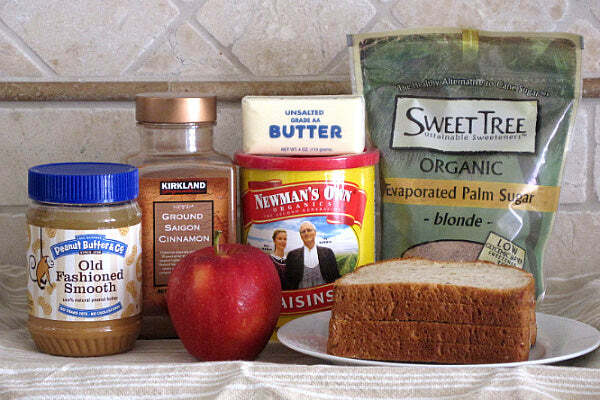 While butter is melting, spread peanut butter on two slices of bread. 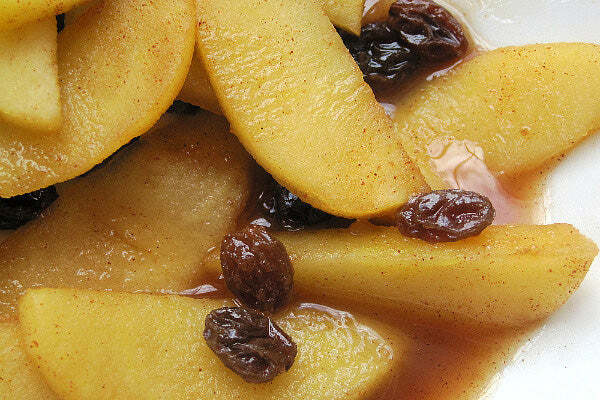 Top with cooked apples and raisins. 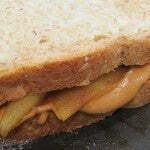 Complete each sandwich with a piece of bread, place in the skillet and cook until golden brown on both sides. Add more butter if necessary. Serve warm. 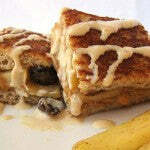 Top with warm Peanut Butter Sauce. 1. Heat heavy cream in a microwave safe container until very hot but not boiling, 30–45 seconds. Whisk in peanut butter until smooth. 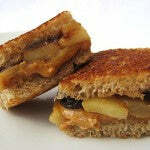 Drizzle on Grilled Fruit & Peanut Butter Dessert Sandwiches or serve on the side as a dipping sauce. Note: This sauce is best when served immediately. The post Grilled Fruit & Peanut Butter Dessert Sandwich appeared first on - Peanut Butter & Co. Recipe Blog.